Irene Pérez Gil joins our 'just us at work' art action in the Amtsgericht from June 18 - 22. On Sunday, June 17, Irene and Deborah Doering visited the Friedericianum and viewed many works in the Documenta (13) exhibition. 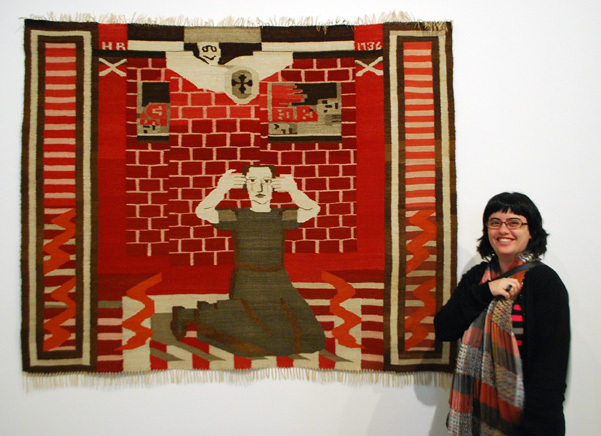 Irene stands next to a tapestry by Scandanavian artist, Hannah Ryggen (1894-1970). 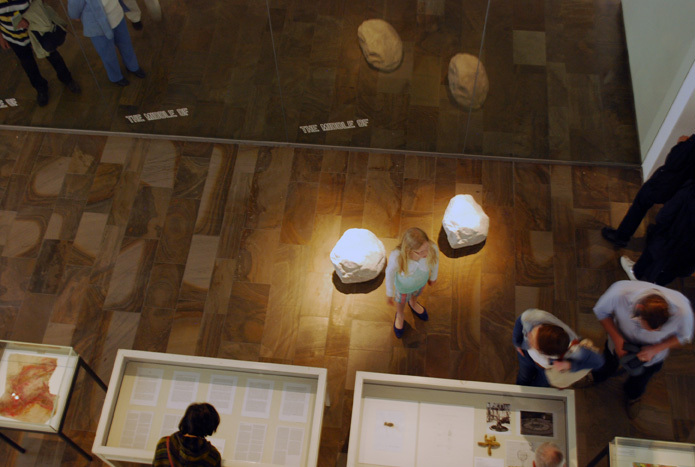 Above: A variety of works comprise "The Brain" at the Friedericianum, Documenta (13).